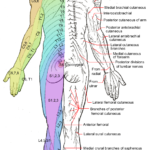 It may seem strange, but the actual cause of sciatica may be located much higher in the spine. In fact, it can be due to a misalignment of the upper neck. The entire spine works as a unit. Therefore, a problem in one area can affect another area. The top bones of the neck – the C1 (atlas) and C2 (axis) – are easily misaligned due to their range of motion. It only takes a misalignment of ¼ of a millimeter to throw off the entire balance of the spine affecting the shoulders, hips, lower back, and overall posture. This may create an irritation with the sciatic nerve located near the hips. The best way to correct this problem is to address the underlying misalignment. Medication is often the go-to answer for pain relief. While this may offer some comfort to the one suffering, it is not the end-all answer. Medication may also be accompanied by unwanted side effects and is not helpful in every case. To deal effectively with the pain of sciatica, one must address the root cause. Advanced Spinal Care, we first examine the neck to find out whether or not the problem is being caused by a misalignment in this sensitive area. If so, we use a gentle method that encourages the bones to move back into place without popping or cracking the spine or neck. Once the adjustment is provided, the body begins to repair the damage. This may correct the irritation that was being put on the sciatic nerve and can decrease or even eliminate the pain of sciatica. To schedule a complimentary consultation call our Redwood City office at 650-595-0500 You can also click the button below. What Causes Severe Migraines and Neck Pain?